Following Tony Nese and Drew Gulak’s victories over Kalisto and The Brian Kendrick, respectively, the first round of the WWE Cruiserweight Championship Tournament – the winner of which will challenge reigning titleholder Buddy Murphy at WrestleMania – continues this Tuesday on 205 Live with two more high-stakes contests. Fresh off his impressive win against inaugural WWE Cruiserweight Champion TJP, Humberto Carrillo will battle NXT Superstar Oney Lorcan. Then, in a blockbuster collision of former WWE Cruiserweight Champions, Akira Tozawa and Cedric Alexander will face off to keep their WrestleMania dreams alive. 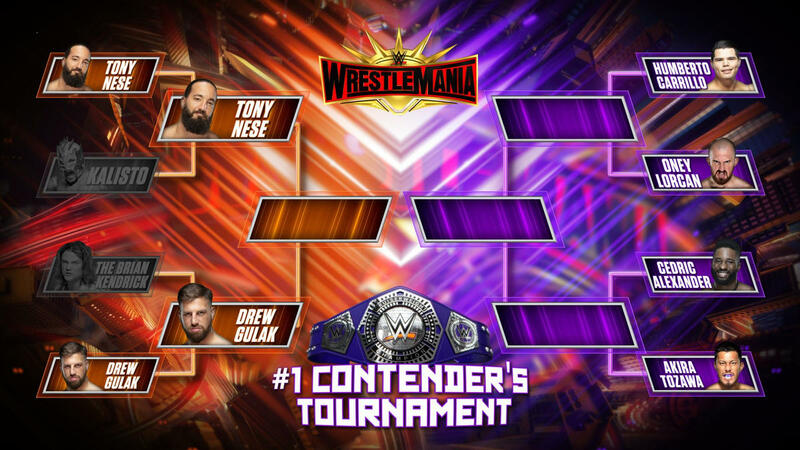 See who will advance in the tournament and come one step closer to facing WWE Cruiserweight Champion Buddy Murphy on The Grandest Stage of Them All. Don’t miss WWE 205 Live this Tuesday at 10/9 C, streaming on the award-winning WWE Network.